Dark and dramatic the Ludus console tale from the Daytona collection by Signorini & Coco is a sophisticated solution for your living space. 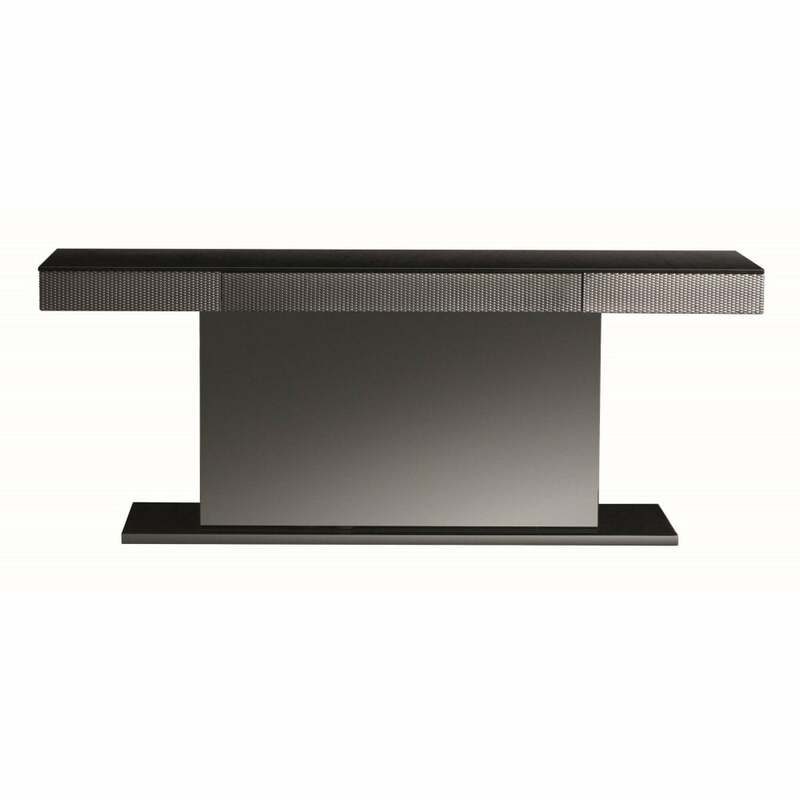 A precious brushed gloss finishes the lacquered structure on the console base. Hidden within the surface are two drawers with elegant patterned workmanship highlighting their outline. The smoked glass of the surface on the console adds to the stylish effect. Style in a hallway below a statement mirror for impact within your entranceway. Add to your living room space as the perfect stylish storage solution.